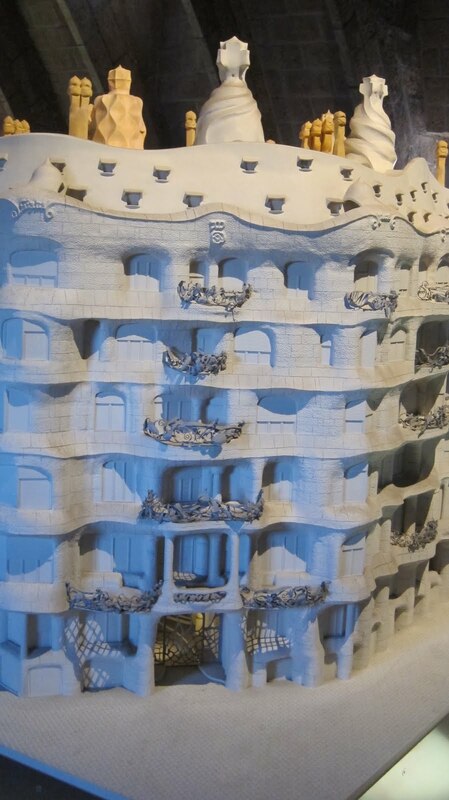 I am intrigued with the parallel between architects Frank Lloyld Wright and Antoni Gaudi. Both revolutionized design. They forever changed the mold of what went into the architectural process. Each saw the opportunity to combine and blend the exterior and interior spaces like never before. They designed specific furniture pieces to fit into their buildings because they believed strongly that form and function were influenced by nature. If you have been fortunate enough to explore their buildings, there is an energy that vibrates throughout the structure. These are individuals who have passed and yet their creations feel current and even modern. They saw a power of purpose and brought their respective visions to reality, despite fighting strong headwinds of disapproval and criticism. I feel the same way about Gaudi and Hundertwasser. To throw Frank in the mix (another favorite)….I can feel my own blog post a-brewing! 🙂 If you are in Vienna….Hundertwasser is a must – but not only his houses and museums, he looked at everything we put on the earth as something that should be beautiful….so seek his factories too. So many visionaries with stories that are connected by shared experiences. We did not get to Hundertwasser when in Vienna but now I have a better context to understand the design and philosophy. Thanks for sharing Sonya!